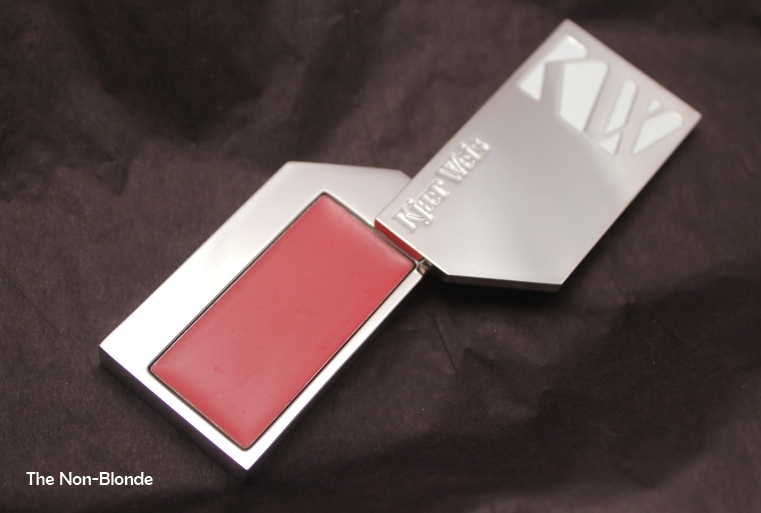 The most difficult thing about Kjaer Weis Lip Tint is to determine what kind of product it is. What I mean is, this is obviously a lip color, but it's called a tint, it feels like a balm, has the pigmentation and lasting time of a high quality sheer lipstick and a glossy finish. So what exactly is this? It's beautiful, that's for sure. Between the Kjaer Weis packaging on its hefty metal and sleek modern design (wonderfully travel and makeup bag friendly), the color of Passionate (a sheer red with a bit of a brown or even fig undertone to make it look balanced and neutral) and the subtle finish and color it gives my lips, this is one of the most gorgeous lip products I've come across. 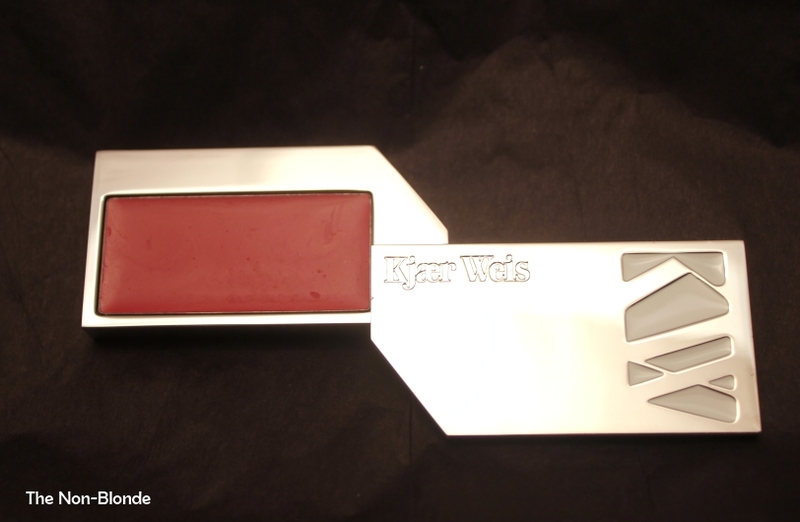 Kjaer Weis products emanate grownup confidence and a luxurious style, even when your supposed to dip your finger into the lip tint's pan to apply it. I get the idea of a modern looking lip stain that looks casual and natural. I really do. 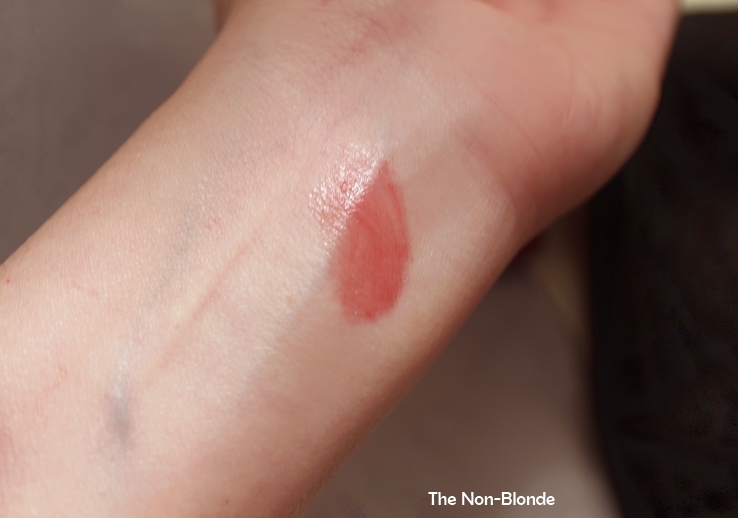 And it works- this method of application gives a beautiful result, just like they promise (I've seen Lisa Eldridge apply lip color this way more than once and she also considers it a modern way to wear color). The germaphobe in me prefers to use a lip brush which gives a lighter pigmentation and a more polished look. Kjaer Weis products are chock-full of natural and organic raw materials, including the preservatives they use (rose, honeysuckle and gardenia in the case of this lip tint). When I first received it, Passionate had the faintest lemony scent, but now, three months later I can no longer smell a thing. I also can't detect any taste whatsoever. 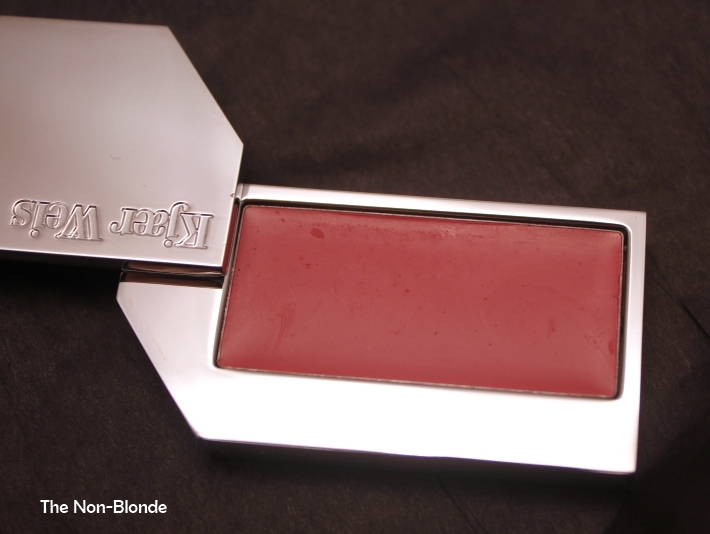 The lip tint feels wonderfully pampering when applied. It's comfortable and wears beautifully for about three hours (tea included) before it starts fading. There's no feathering or ugly leftover in the corners. Just nicely moisturized lips that are ready for a touch-up. 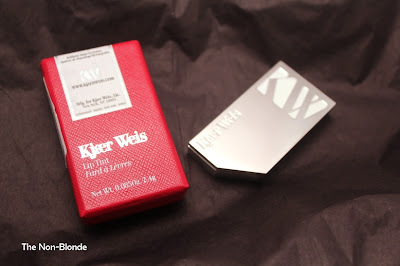 Like other Kjaer Weis products, the packaging is refillable. You can buy refills in any of the available four shades, making the beautiful case worthy of the initial splurge. Of course, now I wish it came in a palette form so I could load it with a second color (Sensuous Plum, for example). I guess we shouldn't be greedy. Kjaer Weis Lip Tint ($48 for the product in its full packaging, $22 when you refill) is available from Space NK, Osswald, and kjaerweis.com. No feathering is always a plus. The packaging is so luxe, another bonus. Someday I hope to visit SpaceNK, but I feel like that would be one expensive trip! That is some of the coolest packaging I have found! That color is right up my alley. Thanks for showing us something new. Dia, for me, there aren't too many brands in SpaceNK I can't get either at my local department stores or in NYC. But I find something as special as this I want to get everything. A dangerous habit. HDtM, I know! That's what attracted me at first, so was delighted the quality matches the packaging. ZP, finding exciting new brands and items are part of what keeps me going. The love for KW Passionate was in the air today as I posted a glowing review as well. I really want to try more from this line! The colour is beautiful. The finish is very appealing too. I had taken no notice of the lip tints as I thought they didn't have any 'me' colour....but I was obviously wrong! Trish, that's a beautiful coincidence! KW is becoming my favorite discovery of the year. I see Cloud Nine in my future. Jane, I'm pretty sure this color would look beautiful on you. You're much closer in coloring to Trish from Scent Hive, so check her swatch.